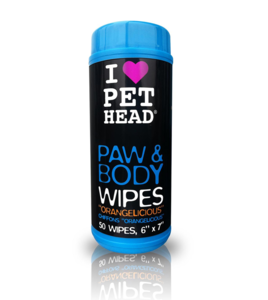 These Paw and Body Wipes by Pet Head are great for keeping your pup fresh on the go or at home. Clean your pups paws after walks, freshen up their face, wipe booty as needed., They are quick and simple to use and perfect for the car, holidays, walks or a no fuss freshen up at home. 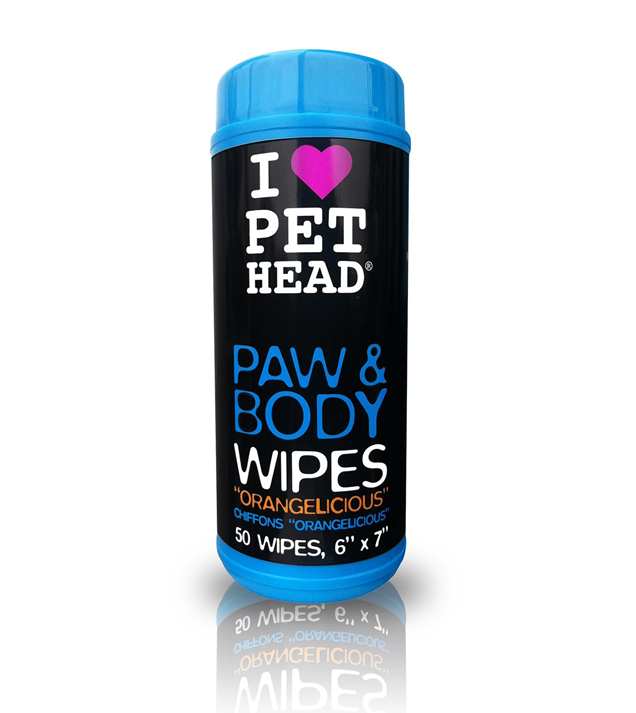 Hypoallergenic Orangelicious wipes keep your dog looking good and feeling great! Happy dog, Happy life!! Pet Head formulas are pH adjusted and free of parabens, petroleum derivatives, propylene glycol, sulphate and DEA.